Cloud-based App offers governments, municipalities and cities worldwide an affordable, highly accurate, cloud-based smart city platform in the palm of their hands. Illegal dumping is a significant issue for local governments, municipalities, cities and our planet. Not only is illegal dumping a threat to the environment, contaminating soil and nearby waterways, but it is also a public health issue and can cost taxpayers millions to prevent, monitor, enforce and clean up. The challenge is, catching dodgy dumpers requires a significant level of investment in time and resources. In fact, in North America, it is costing municipalities, and taxpayers, millions of dollars a year - for example, in Pennsylvania, it costs taxpayers upward of $10 million per year to clean up roadside litter and $600 per ton to clean up an illegal dump site, of which there are thousands of in Pennsylvania. Subhash Challa, CEO at SenSen Networks, believes this new solution is a game changer for governments, cities and municipalities, offering a cost-effective approach to smart city management and removing the barriers to entry. "Cities worldwide look to provide their citizens with a number of civic services, including ensuring cities are safe and clean to live in. Technology is greatly enhancing the services cities can provide, but the cost of today's specialist equipment and technology is prohibitively expensive for most cities in the world," said Dr. Challa. "We wanted to change that and make these solutions affordable, accessible and reliable to every city all over the globe. Gemineye does that. This breakthrough technology delivers the same intelligence and services at a much lower cost, helping to usher in a new era of smart cities worldwide, and make roads safer, cities smarter and businesses more productive." With the technology accessible through a smartphone app, governments and municipalities can significantly reduce capital expenditure and the maintenance costs of expensive smart city infrastructure and analysis solutions, such as illegal dumping monitoring equipment. Labor costs can also be reduced, as the AI technology can notify authorities when a certain situation arises, rather than having to review all the footage manually to identify incidents of interest. The way the app works is simple. Municipalities or government operators select the service they require through the Gemineye smartphone app. 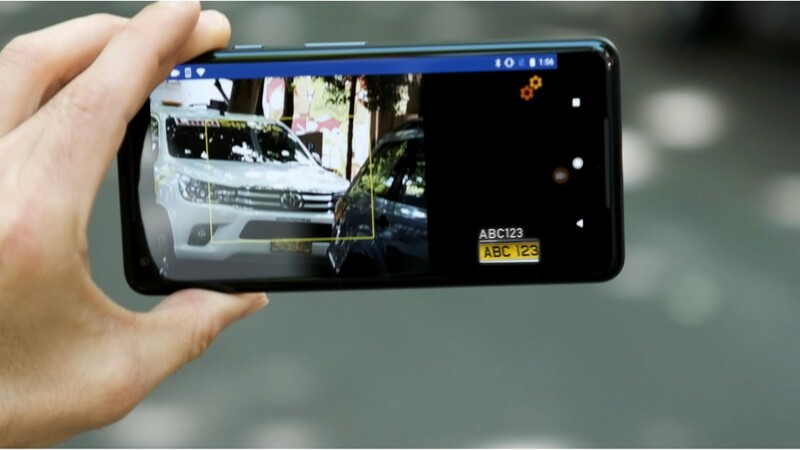 The smartphone will then begin to analyse feeds from its sensors and cameras in real-time, utilising SenSen's proprietary AI-powered software. SenSen's highly accurate AI-powered software will then identify activities of people, vehicles of interest and assets of relevance to the city and upload this data to their smart city cloud infrastructure in real-time. Current approaches use a combination of wildlife photography devices and CCTV cameras to capture activity on illegal dumping. This is expensive, not real time, immobile and requires significant manual effort to go through all motion activated imagery to identify people and vehicles of interest. Gemineye changes all that. Not only do municipalities get notified in real-time when someone is conducting illegal activity, but it also captures all the information they require to properly enforce compliance with local laws, as well as being highly portable. With illegal dumping costing municipalities tens of millions of dollars each year, Gemineye will not only help prevent this activity but it will also significantly reduce the cost of monitoring, analysis and enforcement. SenSen will initially launch Gemineye with two core services - parking enforcement and real-time illegal dumping detection. However, Dr. Challa believes the possibilities will be endless. "The power of Gemineye is enormous for the future. You could have every retailer in the world using the app to track their stores or foot traffic within them. You could have manufacturers using it to advise on new efficiencies. Mining and construction could also use it for health and safety. There are different applications for Gemineye in every city, industry and business in the world," he said. "We believe this is going to open up and deliver so many more functions beyond the two services available today. We cannot wait to deliver further enhancements to our customers and give them smart AI-powered analytics in the palm of their hand."